It’s Day 3 of SMX, the final day. It’s made me think about what I got out of my very first SEO conference… Further knowledge about the new media environment. Valuable insight into what to expect from the future of search. And Lisa snagged me a free shirt! •	When optimizing a forum, your goals are to attract more users via search, improve user friendliness, and improve the site’s usefulness. To do this you should remove the fluff, use targeted keywords, and moderate with search and users in mind. •	Advantages of user generated content are that the set-up cost is low, while the content is exactly what search engines and users are looking for. Plus, you’ll get link love from the high-quality content. •	In implementing UGC, create buzz first, maybe even exaggerating your membership numbers. As new sections launch, acknowledge and promote them. •	Monitoring UGC will be different for large and small sites. Smaller sites usually use an in-house moderator to approve or deny content waiting in the queue. Larger sites usually use a flagging system and moderate as necessary. •	Remember these tips when managing your UGC: be objective because too much control can lead to user hostility; optimize Title and Header tags and use friendly URLs; include badges/widgets and a link back to user profiles. •	People have different relationships with different brands. We associate feelings with brands. When making a decision, those feelings and opinions come into play as we narrow our choices to four or five (bounded rationality). •	Through transactive memory, individuals serve as memory aids to each other because everyone remembers something different. You don’t have to remember everything you learn because there’s a collective brain forming. •	Search is part of transactive memory. It acts as an expert by bringing in the experts (news, video, images) and anticipating users’ needs. •	People form different categories of themselves (work-you, home-you, family-you). Each category has different requirements and experience within that context. Businesses must consider the niche of their audience and the context in which they’re searching. •	Usability studies show that expressing a need in a single-line query is hard for people. So, users look for familiar brands, familiar sites, and familiar navigation. •	Will search as we know it survive? Search as we know it will be the foundation upon which the future is built. But traditional search will disappear as search becomes more pervasive and ingrained in the whole user experience. •	Do ads need to become louder to get noticed on a richer interface? Yes, you need to adapt and fit in to the changing model. Creativity and quality are improving, providing more value to the user. All the tools you need to experiment are available to you. •	What do you see happening to the balance between keeping ads relevant and satisfying users’ needs via search? Ads will stay relevant, even as the bar gets higher, because paid search is harder to spam and there’s still a lot to be gained in terms of meeting user intent. 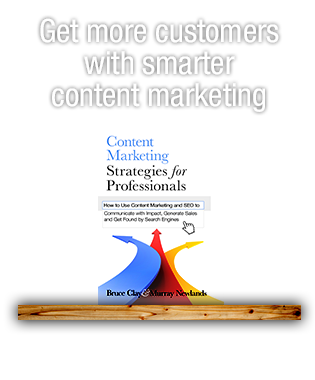 •	Search marketers seem to have less influence in where their content shows up. Is this a threat to conventional SEO? It’s actually opened up more opportunities to show up, but SEOs will have to go beyond traditional methods and look to new venues. •	What features do you want to see developed five years from now? Vertical search, improved access and functionality in all technologies (like mobile search), and a better connection between the user and the content. •	Key issues of analytics data quality include: tracking visitors over time; knowing how long visitors spend on each page; knowing where visitors go when they leave; counting robots. •	Key capabilities of dimensional reporting include: collecting visitor and visit distribution as variables; cross-tabulating all reporting variables; tabulating multi-dimensional variables; exporting N-Dimensional Tables to Excel; applying visitor segments to N-Dimensional Views; distributing N-Dimensional Views; eliminating data cropping on high-cardinality variables. •	Key capabilities of management reporting include: combining and tailoring data views; exporting data to Excel; integrating real-time segmentation with Excel Automation; reporting data through an API. •	Key capabilities of analytics for SEM purposes include: tracking results by search terms used and search terms purchased; tracking content match scores; reporting day parting and time parting; flexible attribution models; collecting cross-attribution reports; collapsing search terms for analysis as a unit; viewing performance of SEO and PPC side-by-side; cross-tabulating geography by keyword. •	When planning your use of analytics, remember that good implementation is difficult to achieve. Web analytics can’t happen without proper tools and resources. There is no safe approach to Web analytics, so think about what you’re really getting for your efforts. •	It’s important to define your SEO standards and best practices. To do this, create consistent processes and written standards, provide comprehensive training, and create communication and collaboration protocols and expectations. Creating a style guide is also recommended. •	Also, remember to monitor pages that rank for specific keywords, create a monthly to-do list of pages to audit and optimize, and manage the workflow by focusing on the highest value keywords and pages first. •	Yahoo! measures the success of their SEO efforts with an internal scorecard. Using an index that follows the predictive model, they are able to track SEO efforts over time. They also use a dashboard to view an overview and compare their work with their competitors. •	In your SEO campaign, DON’T: wall-off content; under-communicate success; forget to communicate with other departments, like IT, design, and ad sales; expect too much too soon; forget editorial oversight; forget to implement necessary changes. DO automate the Meta Keywords tag. •	Possible solutions to improve poor inter-linking include Omniture, WebTrends, and Organic Search Insight. 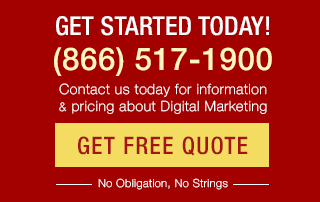 •	What are some primary things to do to SEO your Web design? Include RSS, have a good CMS, use a flexible platform, include keywords in text links, and have a way to measure performance indicators, and most importantly, build architecture around keyword research. 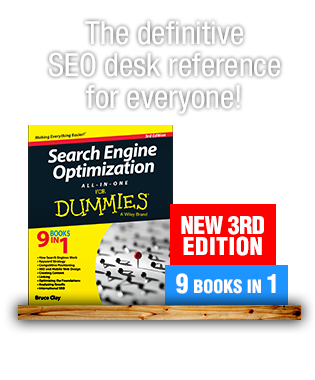 •	What are some of the best SEO tools available to the public? Keyword Discovery, Firefox Web Developer Toolbar and search status, Google Webmaster Tools, SEOToolSet, TouchGraph, and Thumbshots Ranking Tool. •	What tools can be used to measure rankings? InQuisit is a good one, but the majority of this panel recommends not focusing on rankings. •	How many words should be in the Title tag? There’s no specific number. One recommendation is up to three keyword phrases. Don’t include commas in Titles. Avoid overstuffing keywords into Titles tags because that can dilute keywords. Make the Title something people want to click. •	In light of the paid links war, have SEO methods changed? When buying links for ranking, be judicious, consider the risks, and disclose everything to the client. Be sure the other organization fits your mission and is compatible. Links are easier to get when there’s high-value content on your site. •	When implementing an in-house SEO program, consider how much your company currently leverages search and what you can viably handle. If you have to make a case for in-house transition, explain what the current program lacks and present the value addition and cost benefits of moving the program in-house. •	A few tips to remember if you do SEO in-house: choose your model based on your company and industry; get executives on-board by teaching them about paid and organic search and showing them a SERP; go for small wins to build confidence. •	When forming an in-house SEO program, consider your budget, the size and complexity of your Web site, the current organizational structure, and the challenge of recruiting. •	When presenting to executives: avoid jargon and use stories to make points; time presentations for milestones, such as before budgets are submitted; show them the competition; emphasize investment rather than spending. •	To integrate branding with SEO, have an organized plan and present yourself as an ally. Search has branding elements built in, so accomplishing core competency could yield branding progress. •	What are ways to prevent losing traffic when moving a site to a new domain? Permanently 301 redirect your site. To play it extra safe, move one part of your site first and if the rankings are fine, you should be good to go. Be conservative with changes to content and layout. Getting new links after implementing the 301 will help engines sort out the change faster. •	Google recommends disclosing paid links. What do the other engines want? Live Search recommends using nofollow on paid links. Yahoo! thinks paid links are not useful to users and looks out for them. •	What’s the definition of a paid link? A rep from Live Search says the spectrum is very broad. On one side there are irrelevant, bad links, and on the other, there are sites like the American Veterinary Association that gives links to paid members. Search engines really care about the irrelevant ones. •	What difference do outbound links make? It’s more important to think about outbound links as something to help your visitors. Most of the search engines do consider who you link to as a reflection of your reputation. •	Does Google consider siloing or sculpting manipulative? Yes, but Google is only against bad manipulation. Before worrying about advanced techniques like sculpting page rank, be sure the basics are covered. •	When optimizing for usability: use and validate your users’ language; communicate a sense of place; include both textual and graphical cues; structure your information architecture; make sure your interface supports the architecture, not the other way around; promote user confidence. •	Do your keyword research first. Include important keywords in the site’s information architecture and interface. •	SEO and usability must work together for the best ROI. SEO gets the traffic and usability converts the traffic. •	If you want to include Flash on your Web site, don’t design the whole thing in Flash; create Flash elements instead. Also, provide important content displayed in Flash in way search engines can read as well. •	Some of the most major SEO considerations are usability considerations as well. Keywords should be used in titles, descriptions, body copy, and links for both usability and SEO considerations. Phew! My girls accomplished an incredible feat these last few days. After that, our BC bloggers deserve to let loose. Lucky for them, their ideal celebration plans are already in motion.